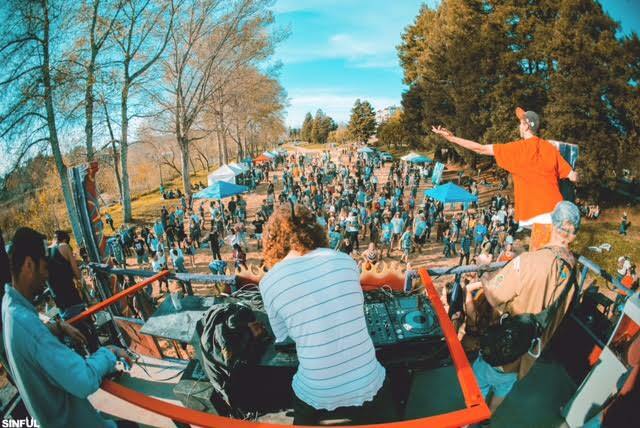 This weekend we were treated to two rad days of music, comedy, yoga, entertainment, speaker talks, and more in the downtown Santa Cruz area at the Santa Cruz Music Festival. Many facets of this festival experience were unique. Enjoy some highlights of the magic moments we experienced at SCMF, starting with the recap video. As the music was bumping you can feel and see all the Local Love. 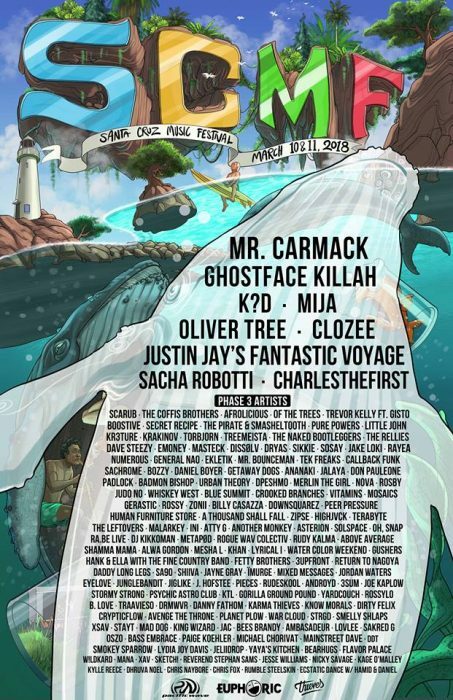 Santa Cruz Music Festival fully embraces the Santa Cruz culture. Various vendors were selling handmade jewelry, art, thrift items, cannabis paraphernalia, designed t-shirts, and other items that embodied the Santa Cruz vibe. Next was The Grub. The festival goes each day all day and participating venues offered delicious local eats to keep you fueled throughout the weekend. There were hundreds of performers from around the area for you to support and discover. The headliners were amazing. To complete the experience, the crowd at the festival was beautiful, bringing us smiles from every direction. Super friendly, and laid back, there was a sense of family amongst a crowd of people who had never met. My favorite times at festivals have been ones where I’ve been able to trade contacts with other festival goers, and this was an easy one to make friends, with such a welcoming vibe. The unique layout, as SCMF does not embody your typical festival set up. The festival took over downtown at bars, record stores, and other small local businesses that hosted performers. In addition, there was a park with an outdoor stage and a large auditorium where the headliners played. It almost felt like a scavenger hunt using the provided festival maps to find the different participating locations, we loved that. Once you were in one spot it was always a completely different vibe from the last. You could be listening to a comedy show at a record store and find a local DJ playing at the bar over or listen to Justin Jay throwing down in the park. On top of that, there was an indoor and outdoor silent disco. I’ve yet to see a silent disco during the daytime anywhere else, which was quite entertaining and the crowd let loose. With so many different things going on at once, there was always something for everyone. 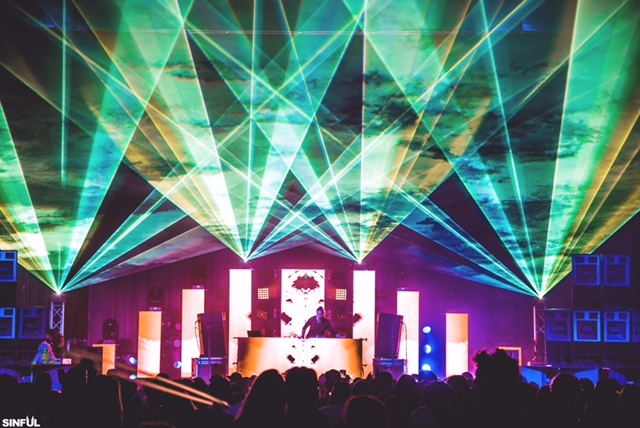 It’s safe to say that the lineup was carefully handcrafted this year and we were more than impressed by the smaller artists that threw down as well as the massive headliners. Sacha Robotti had a packed set and killed it. He took the time to chat with us after his show about his musical influences and more. Check our exclusive interview and listen to our favorite track by him below ‘Melato Nina’. Justin Jay played two sets this weekend. One, a DJ set in the park and one as Justin Jay’s Fantastic Voyage in the Civic Auditorium. Both were completely different sounds that we appreciated in different ways. The park had house beats blasting for his DJ set and the Fantastic Voyage had the crowd fawning over the unique electro-pop sounds the crew put out. Check out some of our favorite tracks from the group below. Oliver Tree, a Santa Cruz local himself represented his city and put on quite the show. His performance was filled with a live band, and funky dance moves and he closed his set with this classic. Following Oliver Tree was k?d who never disappoints. He played one of our much loved and anticipated remixes that you can listen to below and download for free. Never having seen Mija before, this was one that I was most excited for and her set blew my expectations out of the water. 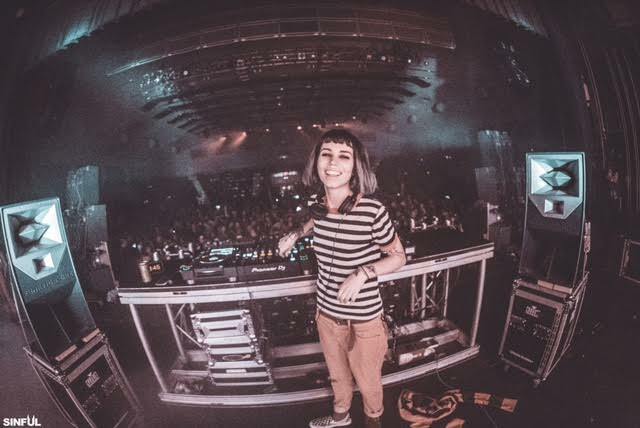 If you have not seen this electronic genius from Phoenix, Arizona you MUST add her to your artist bucket list. 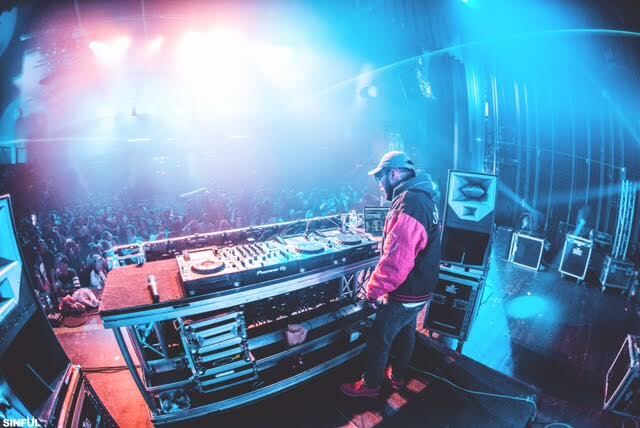 Following Mija, bay area native Mr.Carmack was the perfect closer for our weekend and provided us with some head knockin’ beats and heavy bass to end the night with. Beyond the headliners it was also inspiring to find new local bands, comedians, DJ’s, singer/songwriters and other artists that were either from or not too far from Santa Cruz. Some of the local artists that really impressed us were Bees Brandy, Krakinov, O’Snap, Don Pauleone and Treemeista. If you haven’t heard of them check them out! The local love, unique venue, and unbelievable acts were just a few aspects of what made this weekend magical for us. 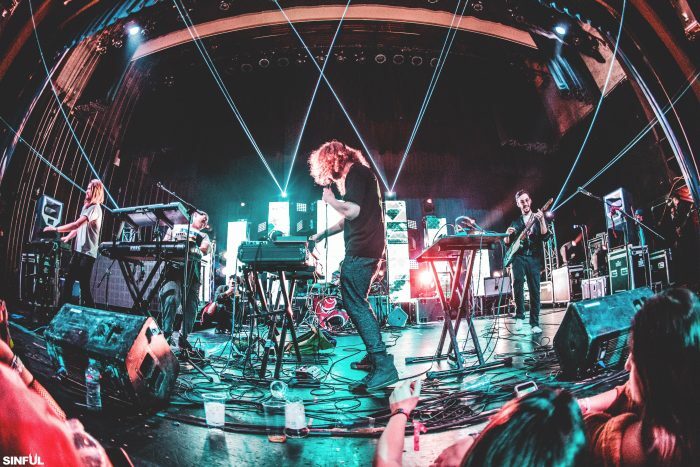 If you are looking for an experience different from any festival you’ve attended before, make sure not to miss out on next years Santa Cruz Music Festival Festivities.